Rocky Hill, CT USA – Direct Color Systems is pleased to announce the addition of Jon Stone in the newly created position of Dealer Sales Manager, North America. Jon brings with him nearly 20 years of experience in the building and managing of strategic global sales channels. His thorough knowledge of building equipment sales networks enables him to offer solutions and build relationships across numerous DCS markets. Prior to joining DCS, Stone held the position of Director of International Sales for Epilog Laser (a US-based manufacturer of high-end laser engraving machines). During his time there he supported the development of an extensive global distributor network, aggressive year over year growth, and the opening of an international sales office. With complementary product lines between the two companies, Jon’s role at Epilog afforded him great exposure to many of the core markets, technologies, and relationships central to the DCS business. Jon is a regular speaker on innovative distribution strategies at the World Trade Center-Denver, the University of Denver, and the University of Colorado. 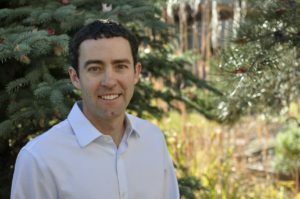 He is a Colorado native who loves sharing the great outdoors with his wife and two young children. Direct Color Systems® (DCS) engineers, manufactures & markets small and mid-format UV LED printers that utilize cutting-edge technology to deliver rich, full-color images directly onto rigid and flexible substrates. Combined with solvent and thermal ribbon printers with related printing supplies, including software, inks, substrates & accessories, DCS offers unique benefits for the signage, ad specialty, manufacturing, DTG, name badge, labeling & awards industries. Known for pushing the industry forward, Direct Color Systems has brought to market advanced UV LED printing features and applications like a patented ADA/Braille signage printing process, cylindrical and conical printing with the EasyCyl, a complete bulk white ink circulation system, patent pending DTG capabilities with UV ink, TEXTUR3D™, conductive ink/additive manufacturing printing, and many more.